Does someone know why this book got cancelled? Quote: Does someone know why this book got cancelled? Actually, the author didn't respond to this query: http://www.romanarmytalk.com/rat.html?fu...550#284701. According to Pen & Sword 'The Roman Conquests: Spain' is scheduled in for July 2014. Roman Conquests: Spain will still be published, we just had to start again with a new author, Fernando Quesada Sanz. I'm sure it will be worth the wait. I am totally agree, Fernando Quesada is a very good author. 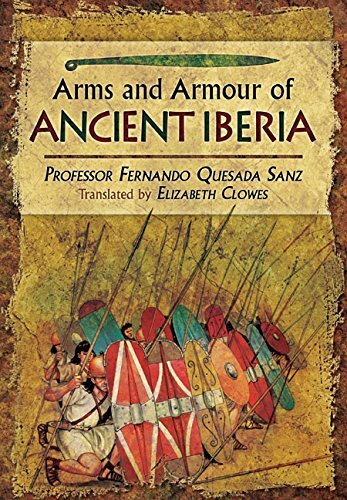 His books Armas de Grecia y Roma and Armas de la Antigüa Iberia are just amazing. A very good choice, congratulations to Professor Quesada! It will be worth the wait, sure! We have the rights to an English translation of both those books, just the small matter of finding a suitable translator. You´ve got two big books in your hands. Fernando Quesada? I'll get it 100% sure. A great scholar, his other books are great, my favourite the one on weapons in old Iberia. any news on these english translations? All due, hopefully, 30th October 2014. Both due, hopefully, 30th November 2014.